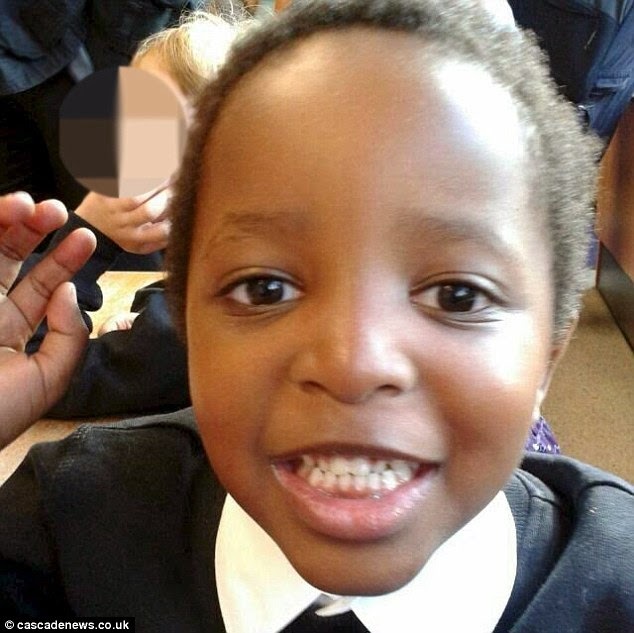 This is the five-year-old boy who was stabbed to death in a 'sickening and violent' attack at his home in Scotland. Scott Chirashi had suffered a 'significant injury' and could not be saved by emergency services, after they were called to a flat in Alva, Clackmannanshire, on Friday morning December 5th. His mother, Farai Chirashi, 32, was detained by police and is due to appear in court tomorrow Dec. 9th in connection with his death. It is understood she is being held under the Mental Health Act. Members of the emergency services who attended the scene are believed to have been offered counselling, according to the Daily Record. 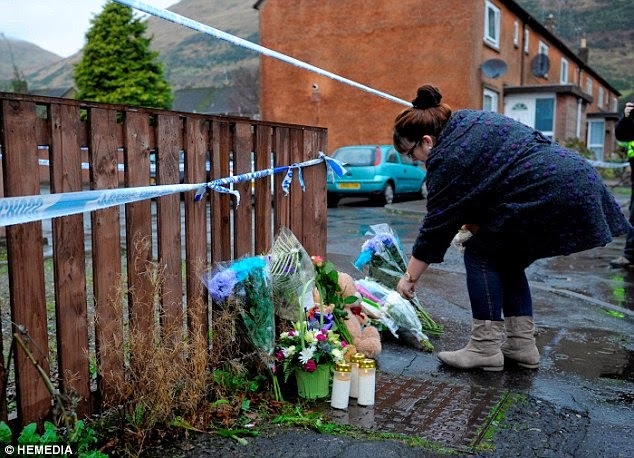 One of the medics told the paper the boy had suffered a 'sickening and violent death'. The boy's older sister, believed to be named Natasha, was reportedly inside the house at the time of the incident, however, police have denied this claim. The family, who are originally from Zimbabwe, had lived in the town for years and moved to three years ago, along with Scott's father, Tichakunda Chiriseri. They were reportedly members of Alva Baptist Church before the couple split 'a few' months ago. It has since emerged that Mr Chiriseri had joined a controversial religious organisation run by a self-styled prophet shortly before the break-up. The Stirling-based Agape For All Nations Ministries Internationals church is headed by former academic Dr Joseph Masocha, and describes itself as a 'fast-growing church established in 2007'. Dr Masocha, a former university lecturer who is also from Zimbabwe, sparked outrage after claiming he is a prophet 'annointed by God'. Neighbours demanded the council give him an ASBO after claims he was baptising people and carrying out exorcisms in his back garden. A spokesman for the church confirmed Mr Chiriseri was a member and said they were offering him counselling after his son was found dead. He said: 'It's obviously a very difficult time. He had been a member of the church for months and we understand he wasn't at the house because he had separated from his wife. Chief Inspector, Stephen Sneddon, speaking on Friday said: ‘Emergency services in the Forth Valley responded to an address in Carnaughton Place, Alva, around 8.50am today in response to a call about the welfare of a five-year-old boy. 'On arrival, police officers found the child with a significant injury to his body. He was later pronounced dead at the scene by the Scottish Ambulance Service. Inquiries into the full circumstances surrounding this incident are ongoing and a woman is currently detained in connection with the investigation. ‘We are not currently looking for anyone else and I want to reassure the local community that there is no risk to them. ‘Police officers will be carrying out various inquiries in the area and I would ask the public to continue to give us the full support they have shown so far, to allow us to conclude these investigations as soon as possible and allow the area to return to normal.